Showing results for tags 'finalists'. The Make Arma Not War finalists now have an exclusive 'Make Arma Not War Finalist' forums medal connected to their Bohemia Interactive forums profile (see examples below). Hope you guys like it! For this medal to show up, your Make Arma Not War profile does have to be connected to your Bohemia Interactive profile. If you're a finalist and this is not the case, but you would like to have this forum medal, please send me a PM and we can see if we can do this manually. Once again congratulations to all! Hi everyone, Due to some 3rd Party music being used in the Altis Fallout, sadly we have no option but to disqualify this entry in the Singleplayer category. As such the next highest voted mission will take it's place, this being "Codename Leonardo". After evaluating more than 250 entries - with the help from the Arma 3 community, we're excited to reveal the 50 finalists in Bohemia Interactiveâ€™s â‚¬500,000 Make Arma Not War contest! In the Singleplayer Game Mode category, the finalists were selected by Arma 3 players, who were able to vote for their favorite entries. In the other categories, the finalists were selected by Bohemia Interactive. The entries that have made it into the next round will be evaluated by the Make Arma Not War jury â€“ consisting of Bohemia Interactive representatives and other industry professionals. The winners will be announced in March 2015. Total Modification Addon Multiplayer Game Mode Singleplayer Game Mode The complete list of finalists can be found at www.makearmanotwar.com/finalists Ivan Buchta, Creative Director at Bohemia Interactive: "The Arma community rocks! We received a wide variety of quality content, which made it incredibly challenging for us to select our finalists. Fortunately, we had help in the Singleplayer category, where more than 1,500 Arma 3 players voted for their favorite entries. Not to forget, we also discovered more than 20 eligible candidates for the Health Care In Danger Special Award. With the most exciting part in the contest ahead of us, I wish all of the finalists the best of luck, and look forward to announcing the winners in March!" In the Make Arma Not War contest, Arma 3 content creators compete in four different categories: Total Modification, Singleplayer Game Mode, Multiplayer Game Mode, and Addon. The winner of the Total Modification category will take home â‚¬200,000, while in the other categories the prize money is divided between 1st place (â‚¬50,000), 2nd place (â‚¬30,000), and 3rd place (â‚¬20,000) winners. In collaboration with the International Committee of the Red Cross (ICRC), Bohemia Interactive will also be handing out the Health Care in Danger Special Award (more info). 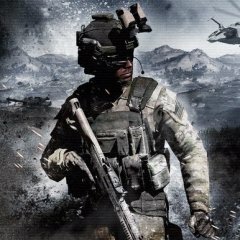 More information about the Make Arma Not War contest, the rules, prizes, and categories is available on http://www.makearma.com.